In the By All Writes tradition of offering curated posts to help bloggers and content marketers, a new contribution awaits you (for posterity). I wrote a post way back in October 2013 that focused on Mental Floss (aka mental_floss) and other knowledge-junkie resources as stimulation for your editorial calendar. But as we all know, a not-quite-two-year-old blog post is considered ancient when you calculate using dog years. Feed Your Brain and Your Blog via Today I Found Out: Don’t ask how I stumbled upon this glorious source of eclectic stimuli. Just be glad I did! While I’m tempted to make comparisons between Today I Found Out (TIFO) and Mental Floss, I’ll refrain. Using TIFO is a great way to generate ideas for your digital content. The site’s most valuable feature is its versatility. Each time you click on the Surprise tab in the navigation bar, that’s exactly what you’ll get. The deepest dive on TIFO is the Articles tab–check it out. The fearless leader who established this website in 2005 and continues to care for it is Alan Bellows. Beause DI is a hobby for Mr. Bellows, rather than a source of income, new articles aren’t posted on a frequent basis. You can subscribe to Damn Interesting by e-mail or RSS feed, follow its Twitter feed, or like the DI page on Facebook. Major time-saving tip: Scanning the DI archives is the best way to quickly identify which articles provide viable inspiration regarding your content-development needs. The Ultimate Listicle Experience Awaits You at The List Cafe: This site delivers what it says it offers: a vast multitude of lists, each containing 10 factoids about its particular topic. The List Cafe is an organized meta-research website for people who constantly source potential blog posts and other types of digital content. How can you go wrong with a resource that includes “Bizarre” and “Macabre” tabs in its navigation bar?!? If You’re Curious, Read This Unusual Website’s Offerings: I don’t hesitate to admit that Curious Read isn’t a scholarly website. 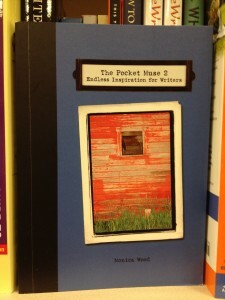 Regardless, I deem it a haven for knowledge junkies in search of content-related brainstorming assistance. Yes, Curious Read has more in common with BuzzFeed than it does with my beloved Mental Floss–so what? I dare you to resist the siren song of categories such as “Odd N Strange” and “Randomness.” (The latter is a photo-centric option which, oddly enough, loops back to “Odd N Strange” as a subcategory). One more curious tip: Scroll to the bottom of the site’s Home page to discover a unique navigation bar that doesn’t match the top navigation bar. When you click on any of these (active) links, you will bounce back to the top of the Home page. On the About Us page, the nice people running Boing Boing proclaim it “The award-winning zine, blog and directory of wonderful things.” Because you can submit a tip that just might segue into an appearance on this site, I’m likely to agree with Boing Boing’s digital pitch. The Boing Boing website is also an online community of readers and bloggers. Members can contribute related commentary and constructive criticism in response to posted articles. Please start here regarding the platform’s rules of engagement. Boing Boing’s overabundance of satirical humor reminds me of The Onion, only all the feature articles and guest posts are factual. You’ll either love it or leave it! That’s why I strongly suggest you start with the well-organized archives at the very top of The Black Table’s home page. This is probably the best way to use the site for brainstorming purposes. I’ve bombarded you (once again) with a plethora of sites bound to help you create engaging blog posts. Which do you suspect will be most useful to you and your blog? If you’re already familiar with any of these suggested resources, which do you think least useful? Why is that? When all else fails, do what I sometimes do. 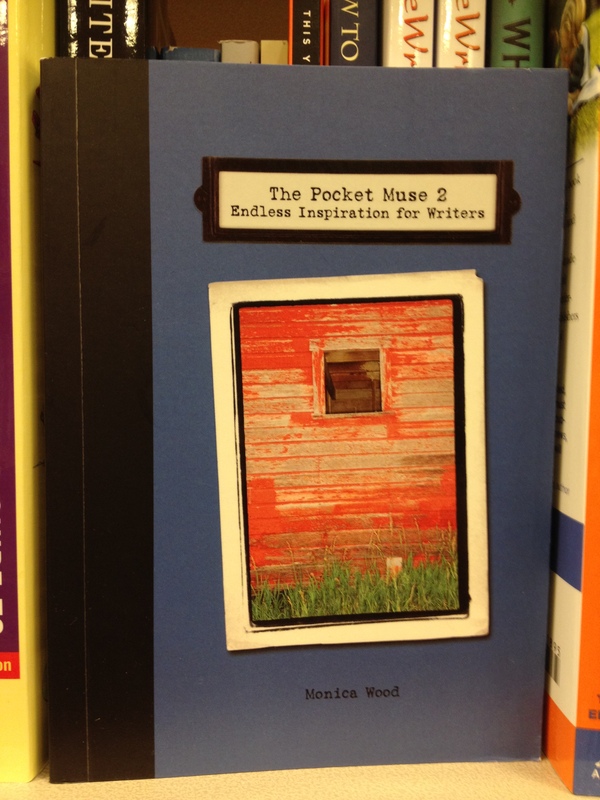 I intermittently fall back on The Pocket Muse (or, as indicated in the photo, The Pocket Muse 2–both by Monica Wood) for old-school writing inspiration. Because: Why should all the 21st-century muses be of the online variety?